Create a Better Version of Your Home to House a Better Version of You! You know how many women spend a lot of time and money buying things for the house, but somehow it never looks or feels just right? They move furniture around again and again, but their spaces do not feel right. They paint and repaint their walls, but the colors never seem to match or look great with their furniture. They buy artwork and ornaments that in their mind should look great, but the end result is less than pleasant. 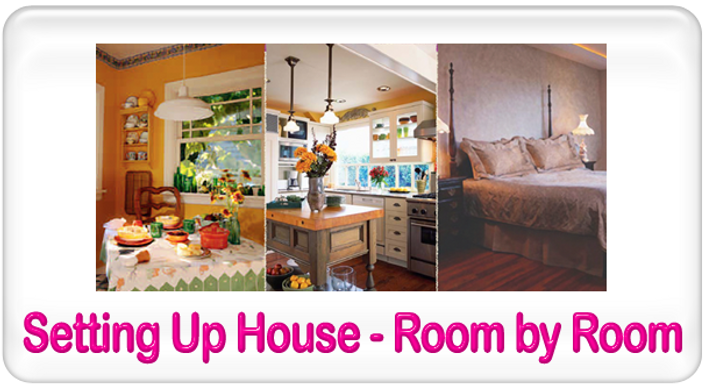 The Make Your Home a Dream Home Program is a step by step system that helps them know exactly what to do in every single room of the home, from the foyer to the master bedroom, from the kitchen to the family room, so that their homes look and feel wonderful, and where there is happiness and family harmony. What's great is that with my combined knowledge of architecture and Feng Shui I can work with their own taste and preferences to help them create a home they love. You can Make Your Home a Dream Home with the proper guidance, and for a fraction of what it would cost you to hire an interior designer. Imagine never again guessing, but knowing exactly what to do. The first thing that you see when you come home sets the tone for how you perceive the whole home? The relationship between your front door and staircases, and between your front door and back door determines whether your home energizes or drains you? Each of the rooms in the home (foyer, master bedroom, dining area, kitchen, children's bedrooms, home office, family room) is related to one of your life areas? The Foyer influences how you approach your Career. The Master Bedroom shows how you see Love relationships. Dining Areas are crucial in the decisions you make about Health and Family. The Kitchen is symbolic of Wealth. Your Hallways show how you walk through life, and how centered you are. Altars and other sacred spaces determine how you address your Spiritual Life and Travel. Children's Bedrooms and hobby/craft rooms show how Creative you are and how much Fun you allow yourself to have. Home Offices affect how you Learn and how you receive Wisdom. The Family Room says a lot about your Social Life and how you expand your Reputation. Your choices of: floor plan, furniture, artwork, and ornaments reveal your desires and longings for your life. They also reveal how you self- sabotage your own purposes. How long a marriage is set to last if nothing changes. Who in the family struggles with low self esteem. The Great News is that with Feng Shui and Space Arrangement you can make your home tell the stories you and your family need to hear – the stories that will help you create a better life for yourselves. Homes are architectural forms of memory. Homes are also architectural forms of prayer. With my help, and the program Make Your Home a Dream Home you can transform your home truly into the home of your dreams. To Make Your Home a Dream Home you first need to know what kind of home would make you happy. I have worked with many clients who thought something would make them happy, and when they got it, they found out they were wrong. They found what they thought was the floor plan for the home of their dreams, and when it was built it was all wrong. They wished they could move a door, a few walls, and the staircase. 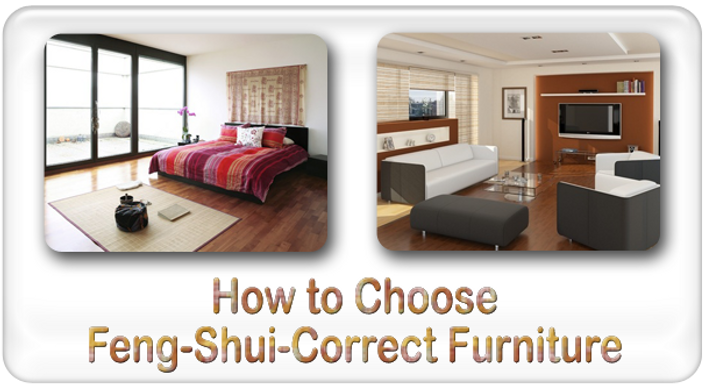 Feng Shui offers easy solutions to problems that otherwise would seem unsurmountable. By the proper use of mirrors and the right choices of artwork and ornaments, you can create balance and harmony. Every single room in your home can be beautiful, a space you will be proud to show to your friends, and where you and your loved ones can feel happy and fulfilled. My name is Moni and I have made it my mission to take the confusion out of Feng Shui. With my previous knowledge of architecture, and the help of experts in Traditional Chinese Medicine, I have created a Feng Shui method that makes sense and is easy to learn and apply: the Nine Steps to Feng Shui® System, which is at the core of all my training programs and books. The program starts as soon as you enroll. You stay connected to Moni for 12 weeks from then. Access to the courses included with this program does not expire, ever. How long do I have access the courses included in this program? So many family women struggle with trying to figure out what to do to be happy, healthier, and more successful, and do not realize that their homes may be playing a key role in keeping them from their goals. They are unaware that key factors in the way their homes are arranged and their own choices of colors, furniture, ornaments and artwork, can affect their perception of life, and lead to bad decisions. Make Your Home a Dream Home is a step by step program that can help women get control over their homes to make sure that they work for them, instead of against them. The Make Your Home a Dream Home Program can guide women as they use space arrangement to create beautiful spaces, from the foyer to the master bedroom, from the kitchen to the family room, so that they reflect their taste, their personality and their true desires and zest for life. What is great is that with my combined knowledge of Architecture and Feng Shui I can assist women in turning their current homes into their dream homes, without breaking the bank. Great and easy to understand online videos give them the ins and outs of every single room in the home, but I also take a look at their individual floor plans, photos and videos, and give them direct feedback about their homes. The result is, every time, a better version of their homes, that can house a better version of themselves. The ripple effects extend to all family members! The one piece of Feng Shui knowledge that can make or break a career. If your career is not aligned with this, you will not succeed. The best cures to increase abundance and money in the foyer. How to choose colors for the foyer. The two qualities without which a love relationships cannot survive. Recognizing the best headboards for couples. Creating equality in your relationship through the space arrangement of the master bedroom. How to align hopes and expectations, and building a future together by choosing the right images. The best Feng Shui cures for couples. Three things you need to know about health and family, and how they are connected. Choosing the best dining table for your family. The crucial difference between daily dining and formal dining areas, and what each represents. How to create a healthy circulation of chi around dining tables. How to organize nuclear and extended family photographs. The best Feng Shui cures for health and family. The four components of wealth. How wealth and Prosperity are different. How to organize your functional kitchen. What to add to and what to remove from your kitchen so it feeds your wealth. How the kitchen symbolizes how you relate to all material possessions. The best Feng Shui cures for wealth. How to make your kitchen and dining area support weight loss goals. 5 things to do to create a connecting hallways. How a dark hallway drains your energy and a light hallway energizes you. How to work with your hallways to have smoother paths in life. The best cures to promote gratitude. The best colors for hallways. The Feng Shui arrangement that rules the creation of any altar. How to create an altar that empowers your positive beliefs and minimizes your pathogenic beliefs. How to use your altar as a manifesting tool. How to create sacred spaces. The best Feng Shui cures for spirituality and travel. The seven functions of children’s bedrooms. How to choose the best wall colors for boys and girls. How to choose the best wall decorations for boys and girls. How to organize toys and clothes. Respecting scales and sizes and managing reach. The best cures for children and creativity. Eight components of the home office. The power position in a home office and in a shared home office. Eight things that destroy concentration and productivity. Feng Shui cures to improve study and increase wisdom. The best colors for a home office and for a home-run business office. Why you should call it a family room and not a living room. Choosing colors, furniture and decor for a casual family room and for a formal living room. Why lighting height and intensity matter. The best cures for fame and reputation. How to create an art studio or crafts room where you will want to create arts and crafts just by stepping into it. How to turn on creativity when you need it. Finding your true taste and your true dreams. The best organization methods for arts and crafts supplies. How to store arts and crafts. From the mailbox to the front door: the perfect Feng Shui entrance. How to create outdoor spaces that you can use and enjoy. Neither in, nor out, why every home should have an open porch and/or a screened porch. The most perfect excuses to be outdoors. A home that flows from room to room. Connecting all your yards for greater enjoyment. How to choose interior and exterior design that is congruent with your taste, your life style, and good Feng Shui. Allowing the better version of you to thrive in the better version of your home. 12 half hour online meetings with Moni. Feng Shui Your Home Course ($1500 value). The 12-week virtual course Setting Up House - Room by Room ($997 value). Feng Shui Your Own Life Areas Room by Room ($39 value). Book and recordings Feng Shui Affirmations for the Nine Life Areas ($25 value). Angelic Feng Shui Journal ($20 value). Angelic Feng Shui Recordings ($70 value). Imagine never again guessing, but actually knowing what colors, furniture and ornaments will look good and feel good in every room, before you try them! Everything you need to know about choosing furniture that will create good energy in your home. Go Beyond the "Law of Attraction" - Raise Your Vibration to Manifest the Feng-Shui-Way!